We are approaching the mid-point of the zodiacal year – coming up on September 22nd. The Equinox is one of the best times to do work for centering and balancing your life. Remember, you are the wellspring from which the tributaries of your life flow – and when this spring is fed by the magical current flowing from source, you have an abundant supply of energy to put towards your life. Yet it is up to you how this energy is distributed; whether you are strategic or careless, mindful or wasteful. For this ritual you will need – 4 crystal points and one central stone or generator. Program or charge each point with the energy of one element – Fire, Water, Air and Earth. Charge the central stone with the energy of Spirit. You can do this by placing them next to a representation of each element and charging them on your altar, and by invoking the Archangels of the elements and the Elementals. When your crystals are ready, begin this ritual by performing the Lesser Banishing Ritual of the Pentagram. Next, take a piece of paper and draw a circle, dividing it in half and in half again. Each of these four quadrants will correspond to an elemental part of your life. In each of these four quadrants, write an area of your life. Place your central stone (Spirit) in the middle. Center yourself and take a few deep breaths as you enter a meditative state. Send your consciousness to the middle stone and imagine looking outward to each direction. Spend some time in reflection and meditation in each quadrant. Ask the question – How am I using my energy in this area? Am I placing too much focus here, or not enough? Am I un-centered here? If your energy or focus is lacking in any area, place the corresponding crystal point pointing outward, directing energy from source into this area. If you are exerting too much energy outward and either not enough on yourself, or the energy feels wasted or un-centered, place the crystal pointing inward. “I call upon my guides, angels and ancestors; the aspects of the Divine which work with me on the highest levels of 100% pure light. I ask for your assistance to guide me into a state of balance in each area of my life. May my life force energy be redistributed holistically. May my energy flow clearly and positively through the layers of my being. Help me to be aware, to feel connected, to love myself, and to find the faith and confidence to act from my highest self. May I be of service to the Divine and aligned with the Divine Will. Leave your grid set up until the Autumn Equinox. At this time, perform a prayer of gratitude and turn all crystals pointing out. Add other elements to the grid – flowers, candles, and herbs. 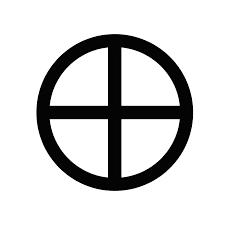 Perform a Qabalistic Cross or closing ritual, affirm your working complete.